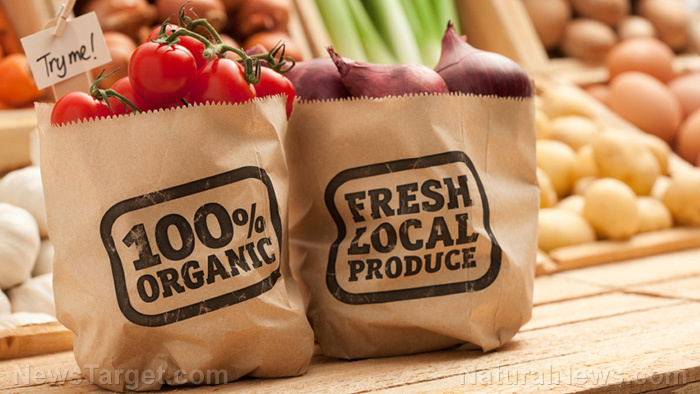 (Natural News) This trend could not have come at a better time: In an era when surgeons in the UK are performing a record number of diabetic ulcer-related amputations, the growth in sales of organic foods is outstripping the sales growth of all conventional foods. As reported by The Ecologist, the organic food market in Britain is up again for the sixth straight year and analysts expect it to exceed a record £2.2 billion in sales by the end of 2017, according to the Soil Association. Supermarket sales of organic foods grew some four percent from January to July, the organization said. That compares to growth in sales of non-organic foods of just 1.4 percent over the same period, Nielsen analysts said. “We’ve had six years of consecutive growth in organic products,” Finn Cottle, trade consultant to the Soil Association Certification, said. Even more remarkable is that the growth in organic foods, which are typically more expensive, has occurred during a cycle of austerity. This stands in direct contrast to previous periods of economic slowdowns, such as the 2008-2009 period of global recession when sales of organics fell. During that time, Cottle said that retailers removed organic foods from store shelves, adding it wasn’t clear whether a slowdown in demand led stores to drop organic products. The boost in organic sales is the result of both consumer and retail trends focusing more on such products, said the Soil Association. The organization believes that quality and sourcing of products is more important to consumers on a budget than discounted pricing. Retail and consumer trends are changing and boosting the growth of organics, the Soil Association said. Values and sourcing are more important than discounts and low price to these shoppers, it believes. Indeed, research published in September from grocery market research analysts England Marketing showed that more than 50 percent of shoppers are actively looking for labels that prove ethical and environmentally sound sourcing of food. “They’re generally early adopters, they want to be informed about food,” said Cottle. Organic sellers said that while their products form only a fraction — about 1.7 percent — of total food sales throughout the UK, the base is widening. Sales of organic food in the United States are similarly skyrocketing. That includes, as Natural News has reported, the sale of organic seeds which is projected to hit $5.4 billion in sales by 2024.